When judges read creative writing contest entries, they need to consider dozens, or even hundreds, of potential winners.Reading that many essays on a single subject can be grueling. After a while, many of those entries simply blend together and are forgotten. Unsurprisingly, those forgotten essays aren't the ones that are chosen to win. For your entry to rise to the top, average just won't cut it; you need to aim for an awesome entry. Luckily, you don't have to be a professional writer to be a winner. Here is a ten-point checklist to evaluate your essays and boost your chances of winning. 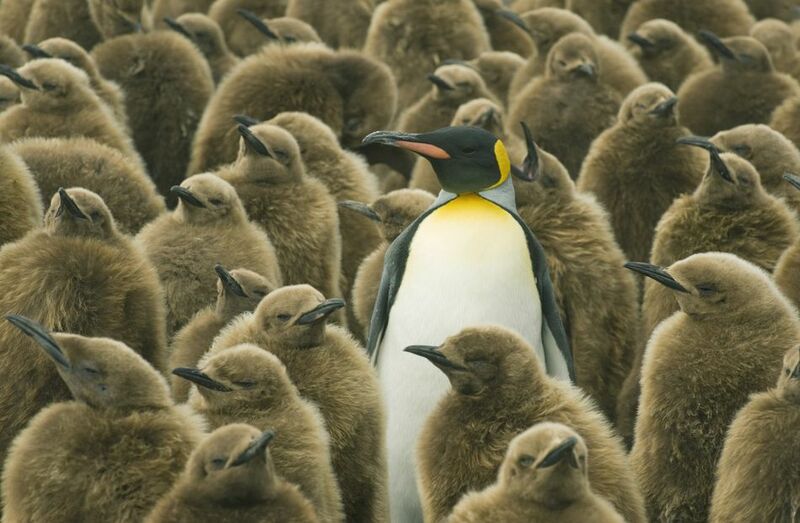 Does Your Creative Writing Stand Out from the Crowd? If you want your creative writing to be noticed, you'll need to make it stand out from the crowd. So consider what you can do to make your essay unique from hundreds of other entries. What will make your entry be noticed and remembered? Use an unexpected format: Instead of a standard essay, try using a poem, a rap, or a jingle to express yourself. Make the judges laugh: Choose a topic for your creative writing that is funny, or inject unexpected humor into an otherwise serious topic. Play with language: Try using puns, coining words, having fun with alliteration. Have a unique viewpoint: You can bet that your competitors will have done the most obvious take on a contest's theme to death. Don't be one of the crowd. Look for a fresh take or a uniquely personal viewpoint. Does Your Entry Fit the Contest's Theme? If you want to win, you need to make it clear from beginning to end how your creative writing fits the theme. To accomplish this, try matching the wording in the rules: If you can do it without being awkward, try to mirror the language from the rules in your essay. For example, if the essay is about "how you find more time for your family," you might want to try using a phrase like, "It's hard to find time for all of the things I want to do with my family, but they always come first..." or another variation. When you are done, ask a friend to double-check your writing and ask your friend what they think the essay is about. This gives you a good insight as to whether you've addressed the theme clearly or not. Does Your Entry Match the Sponsor's Image and Audience? The type of creative writing you want to submit into a contest will depend heavily on who the sponsor is. Think about how different your tone would be if you are writing for Maxim, Campbell's, or Woman's Day. But don't just think about the sponsor; an outstanding contest entry appeals to their target audience as well. Before you put pen to paper, think about the people that the sponsor wants to reach. Are they trying to attract kids? Young adults? Senior citizens? The tone of a great creative writing contest entry will be a good fit with the sponsor's company image. If you want to get a feeling for the sponsor's company image, start by visiting their website and looking at the words that they use to talk about their business. Is the company fun? Family-friendly? Compassionate? Edgy? Next, watch some of their advertising. Look at their ads on their website, and any commercials you can find (YouTube is a good place to look). What image are they trying to convey? Who is the target of their ads? They will likely want to use the winning creative writing entry as part of their advertising, so make sure you are giving them a good fit. Is Your Essay Grammatically Correct? No matter how great your creative writing is, poor spelling and grammar will torpedo your chances of winning contests. Grammatical mistakes give the impression that you don't know what you are doing, even when your content matter is strong. You don't want your judges thinking about your language rather than the story you're trying to tell! Even worse, many contests use grammar and spelling as part of the judging criteria. As well as thinking less of your writing, the judges could be knocking off points for easily-corrected mistakes. It's easy to overlook problems in your own writing since knowing what you meant to write can blind you to mistakes you made. Luckily, there are some tricks that professional proofreaders use to catch and correct mistakes. Free grammar checkers can also help you find mistakes that you might otherwise overlook. Most word processing programs, like Microsoft Word or Open Office, come with these features built in. There are also online tools, like Grammarly, that you can use to help catch problems. If you are having a friend overlook your entry before you submit it, he or she can also help you catch any mistakes that have slipped through the cracks. Does Your Essay Have a Strong Start and a Good Hook? An outstanding contest entry is compelling from the very first sentence. If your first sentence grabs the judges' attention immediately, they are going to be more receptive to hearing what you have to say. One of my favorite examples of this is from a reader who wrote in to tell me how she got on the show, "Queen for a Day" with a great hook. To get on the show, contestants had to tell the sponsors what they wanted to win. Jewelry, furs, and household appliances were common requests, but one contestant took a different tack. She wrote: "I want to win 200 bananas, an air purifier, and 2 suits for my husband." Imagine how that first sentence stood out from among hundreds of requests for diamonds and washing machines. 200 bananas? How could you stop yourself from reading on to find out why? Start with an interesting quote. Start with some suspense, an air of mystery. Show a quirky, unique perspective. In order to win a creative writing contest, you want to submit an essay that not only entertains the judges while they are reading, but also sticks in their minds afterward. So what can you do to make an essay memorable? One way is to concentrate on a strong ending. A hook at the beginning of the essay is a good way to grab attention, but a strong ending ensures your creative writing stays with the reader once they have finished reading. Make that final sentence resoundingly strong so the judges can't ignore you. You can also help judges remember you by using your unique voice. Don't be afraid to let your personality shine through; that's what keeps your essay from being boring. Try to be memorable by thinking outside the box. Bustle has an article about memorable college application essays, which includes a college application where students could ask their own question and answer it. One student got accepted to college by taking the unusual route of asking himself the question, "Do I play the trombone?" and his answer? "No." Does Your Essay Follow the 3 C's of Writing? Kurt Vonnegut shared some advice on storytelling: "Use the time of a total stranger in such a way that he or she will not feel the time was wasted." The last thing you want is for your judge to feel like your essay is wasting his or her time. So keep in mind the three C's of great creative writing: it should be clear, concise, and coherent. That doesn't mean that your contest entries should be short, it just means that every word has to communicate meaning. Every sentence should play a role in advancing the story. Edit, edit, edit your essay to make sure it is as powerful as it can be. Does Your Essay Flows Smoothly from Concept to Concept? Outstanding creative writing flows smoothly from one idea to the next. If your entry is disjointed and staccato, it's going to be memorable, but not in a good way. So while you are proofreading, look at each paragraph of your entry, and see whether the idea progresses naturally from step to step. For ideas about how to make your creative writing read smoothly, see these tips on making ideas flow from one paragraph to the next. Does Your Essay Evoke the Reader's Emotions? Really great creative writing contest entries tap into your most authentic feelings to evoke emotions in your readers. Whether the emotions are joyful, sad, or angry, evoking them will make your essay more memorable (there's a scientific reasoning for that). A lot of people turn to sob stories to evoke emotions, and they can be effective. But remember that your judges don't want to end up feeling bummed out. If possible, try to end even a sad story on an uplifting note. And remember, there are plenty of other emotions you can draw upon to make your essay awesome: joy, nostalgia, triumph, and tenderness might be good options to try. Does Your Contest Entry Follow the Rules? The absolute most important quality of a great contest entry is that it strictly follows the rules. It doesn't matter how good your writing is if your essay is disqualified from the contest for cheating. It is easy to get so caught up in your writing that you miss a detail in the rules. So it's a good idea to read through the requirements before you start writing, and then to go through them point-by-point after your essay has been completed, to make sure there are no oversights. Once you have a good idea for how your essay should be structured, click the link above to learn how to write a contest-winning essay.